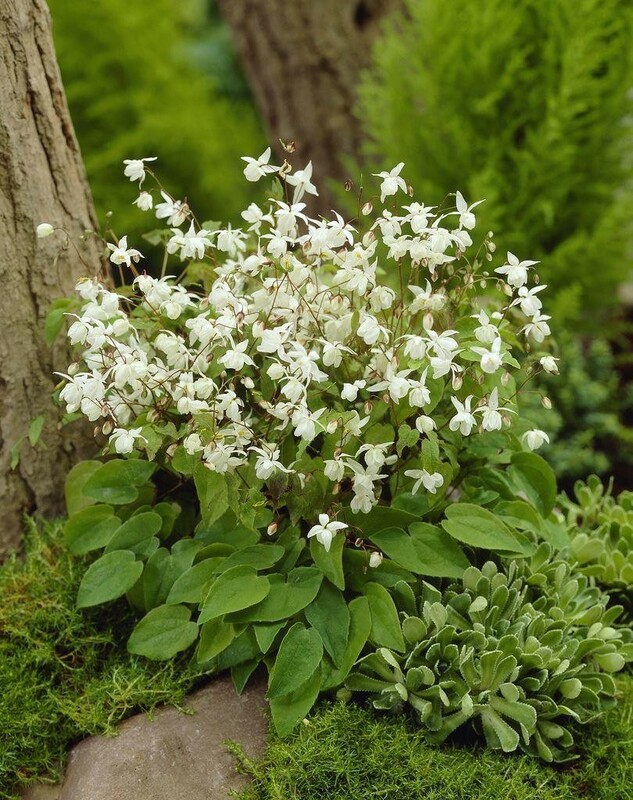 Delicate, mid-green heart-shaped leaves and exquisite, pure white flowers in mid to late spring on slender, red-tinted stems. A perfect groundcover plant for shady areas under trees. The delicate young foliage, often bronze-flushed, looks great next to other shade-loving woodland plants, such as Pulmonarias and Ferns. Supplied in approx 2 litre containers.